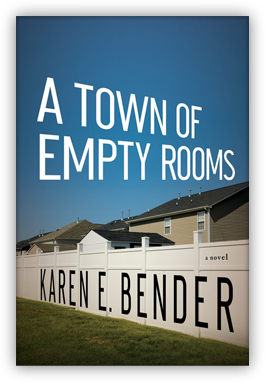 Karen E. Bender is the author of two novels--A Town of Empty Rooms, newly available in paperback, and Like Normal People--and the co-editor of Choice, a nonfiction anthology. 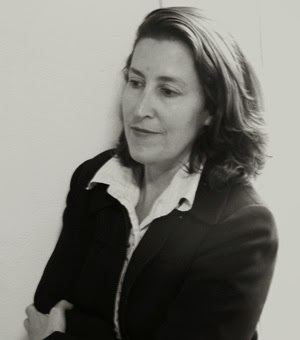 Her work has appeared in a variety of publications, including The New Yorker and Granta. She is spending the academic year teaching creative writing at Tunghai University in Taiwan. Q: How did you come up with the idea for your most recent novel, A Town of Empty Rooms? A: I started the book in 2006, and wanted to write about the Southern U.S., where our family had been living for a few years. I’m from Los Angeles and lived for many years in New York, so I wanted to explore the South from the perspective of an outsider, particularly a Jewish one. 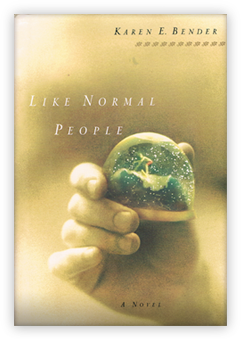 I also write to teach myself something—for this book, I wanted to figure out why people tend to accuse one another. How do people turn sorrow and frustration into accusation? I come from a family of psychiatrists and love psychoanalysis myself, and I wanted to untangle the roots of this dynamic, both in context of a family and in the larger community. In 2006, accusation felt like the language of America at that time, and in many ways, it seems like it still is. Q: Why did you choose A Town of Empty Rooms for the title? A: Titles are always difficult for me, and for a long time, this novel was called Allegations. But various people thought that title made the book sound too “thriller-y,” so I tried to find a line that might summarize the general themes of the book. It was a dark section, but one that seemed important to me—how people can feel trapped in their individual selves, and how the beauty of connection is that it’s a chance for people to step out of their individual rooms. So I started playing around with Land of Empty Rooms, or City of Empty Rooms and then my editor, Dan Smetanka, suggested A Town of Empty Rooms, and that seemed to encapsulate a general feeling in the book. Q: Religion is a major theme in the novel. Why did you decide on that as a focus? A: America is both a secular and a very religious culture. I find the ways in which the two collide so interesting; I also love the ways in which people find individual meaning in religion. Serena is not an observant Jew in a “traditional” way, but she feels connected to the ways in which congregants gather at a synagogue, the way they stand up and listen to the music, the way in which people try to be a little larger than themselves. In a way, it’s the way she defines God. It’s very different from the way the rabbi defines God, or her neighbor, Forrest Sanders, and that difference, or the inability to understand it, is one of the most interesting and complicated conflicts in this country today. 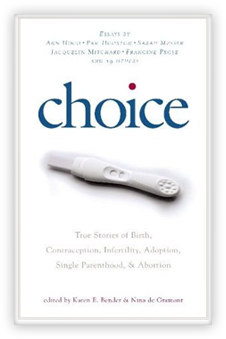 Q: In addition to your two novels, you're also the co-editor of Choice, an essay collection about reproductive choice. How did that book come about? A: I co-edited Choice because I think that great, specific, personal writing has the power to illuminate people, to change minds. So many people have preconceptions about what it is to make a reproductive choice—whether it is deciding to have an abortion, deciding not to have an abortion, adopting, giving a child up for adoption, using contraception, etc. The essays were just startling in their honesty, and, in that way, had the power to help a person see another person’s point of view. Recently, researchers at UCSF used Choice in a study to see if exposure to stories would create empathy between the book group members, and they found that it did! It was a testament to the power of honest, beautiful writing. A: I have a story collection coming out with Counterpoint Press in 2015, and writing stories is really my first love, so I’m working on stories. Our family is living in Taiwan right now, so I’m taking notes on experiences here; living abroad is also about seeing America anew. A: My husband and I have been learning Mandarin, and I’m struck by how the process of learning language is so much like the creative process. First there’s darkness, and the sound of people speaking, and the feeling of being a baby, knowing nothing, and then, slowly, there’s a word. You say something and another person understands you. And then you understand another person. There are, slowly, shards of light. You can find some of my thoughts on the writing process at my website, and some of my work on the site www.byliner.com.